NATIONAL BESTSELLER The true story of two African-American brothers who were kidnapped and displayed as circus freaks, and whose mother endured a 28-year struggle to get them back. 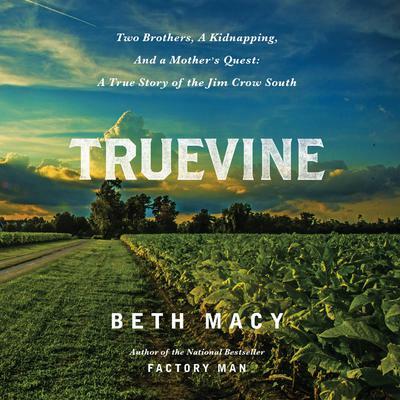 The year was 1899 and the place a sweltering tobacco farm in the Jim Crow South town of Truevine, Virginia. George and Willie Muse were two little boys born to a sharecropper family. One day a white man offered them a piece of candy, setting off events that would take them around the world and change their lives forever. Captured into the circus, the Muse brothers performed for royalty at Buckingham Palace and headlined over a dozen sold-out shows at New York's Madison Square Garden. They were global superstars in a pre-broadcast era. But the very root of their success was in the color of their skin and in the outrageous caricatures they were forced to assume: supposed cannibals, sheep-headed freaks, even "Ambassadors from Mars." Back home, their mother never accepted that they were "gone" and spent 28 years trying to get them back.